Tacugama staff are incredibly multi-talented and we are so proud to share with you our latest accomplishment. For the inaugural Tacugama Week in May, our staff wrote and recorded this beautiful song about conservation. Now, in honour of the first ever World Chimpanzee Day, July 14, 2018, marking the day 60 years ago when Jane Goodall first landed in Africa to study wild chimpanzees – our staff have done it again! They have released their first music video of the single “Salone is Our Home Too”, which is set to go viral from Freetown to the world! Help us spread the message of conservation and share far and wide with your friends. Credits to artists Ethel Sililah, Frankyln “Badeye” Sesay, Kongofa Marah, David Momoh, Daniel Nahun and special thanks to Limkokwing University for helping us produce the video. 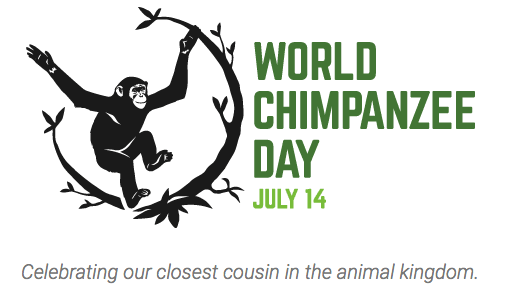 Visit https://www.worldchimpanzeeday.org/ for further details on the launch of World Chimpanzee Day.